Two things everyone needs in the morning...coffee and some kind of breakfast! Why not make life easier and combine the two? 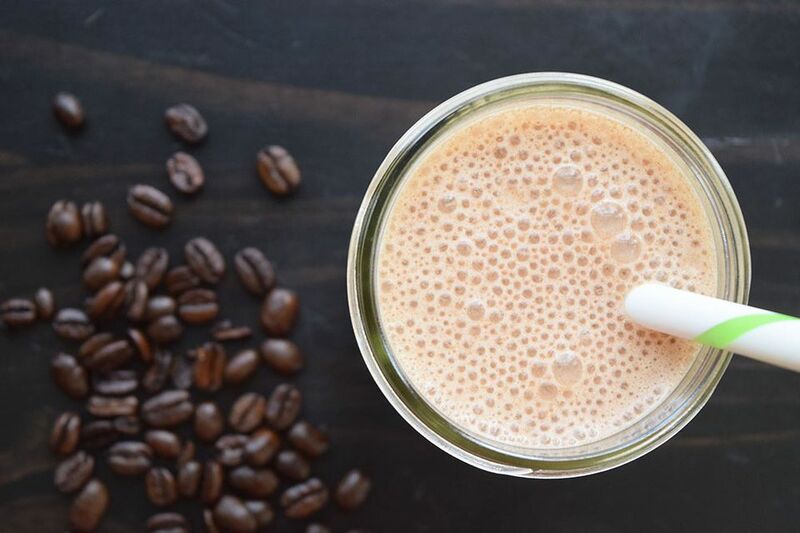 A cold protein shake mixed with chilled coffee is the perfect summertime breakfast. This shake is super easy to whip together and has very minimal ingredients. It's the perfect breakfast wake-me-up drink! It's filling, satisfying, and perfect to take along with you when you are in a rush in the morning. Make the coffee the night before and chill in the refrigerator overnight. It's important to make the coffee on the stronger side so the shake won't taste watered down. You can also replace some of the ice with a frozen banana for a creamier texture for the smoothie. The frozen banana will also add some sweetness. You can also add additional sweetness with some chocolate syrup! You can use chilled espresso too! Or if you are looking for coffee flavor without the buzz, just use decaf coffee! This recipe makes too coffee shakes, but if you want just one, just cut the recipe in half! Whole milk provides a creamier flavor but you can substitute with non-dairy milks like coconut or almond milk or skim milk. Add the whole milk and strong coffee to the blender. Make sure to add them to the blender before the protein powder. If you add the protein powder to the blender first it will stick to the bottom of the blender! Add the protein powder and ice tot he blender. You can also add the chocolate syrup at this time too. Blend the mixture on high until completely blended. Place in glasses with smoothie straws! When Is a Drink a Frappe?